Being a fitness enthusiast demands you to challenge yourself with fresh workouts and new equipments. I recently came to know about new weight training equipment called as MOTION BARS. These bars are hollow, encompassed with weight ball bearings inside that can slide smoothly within. I bought a bar weighted 6 pounds, started rolling them around and instantly fell in love with them. It is extremely important to utilize our core muscles of stomach, lower body and glutes. These bars are excellent to activate your core muscles. While working out with these bars, I noticed that you need to stabilize your position, counteract the resistance of the bars and balance the weights in the bars for better coordination. These bars can work with any simple exercise like side bends, boat pose, lunges, leg stretching, plank and many more. It enhances all your exercises to dare your core muscles unwrapping them from their comfort zone to work a little harder. Using these bars made me strengthen my dynamic capability too. These bars can be used by anyone from any age group, athletic ability and fitness zone. These bars are available with many different weights depending on your strength and muscles. There are 3 levels in using these bars with each one being heavier than the last. 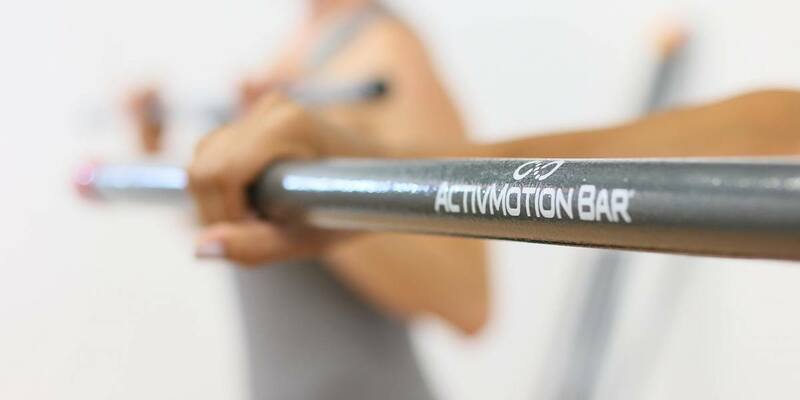 ActivMotion bars completely satisfies fitness freaks like me who always need something new that can help in toning my body. According to ActivMotion, these bars burn about 71 calories in every workout. They can be used in accordance with any exercise putting much more effort on your core. They teach you how to balance your body, makes your muscles more flexible and eventually drags you out of your cocoon. I highly recommend their use to people who are looking to try something new and believe in working hard to reach their epitome of fitness. As of me I’m starting my level 2 with 10 pounds. Let the bars push you further! « What Are The Benefits Of Cardiovascular Exercises?